Gaddi dog also known as Himalayan mastiff justify their origin due to cross between a tiger and a dog which is due to their ferocious & loyal nature.This breed is one of the 7 dog breeds in India resembling Tibetan mastiff.They have adapted themselves to survive in rough outdoors.This breed has a reputation to be strong enough to take on a snow leopard and Intelligent to herd stray sheep or goats back to their pens. This Breed is not a member of any kennel club category but since this breed is a mastiff type it would not be wrong to put it into working group of breeds. Gaddis are not suitable as family pet due to their aggressive nature but they are excellent guard dogs to protect live stocks and Property especially in colder climates. 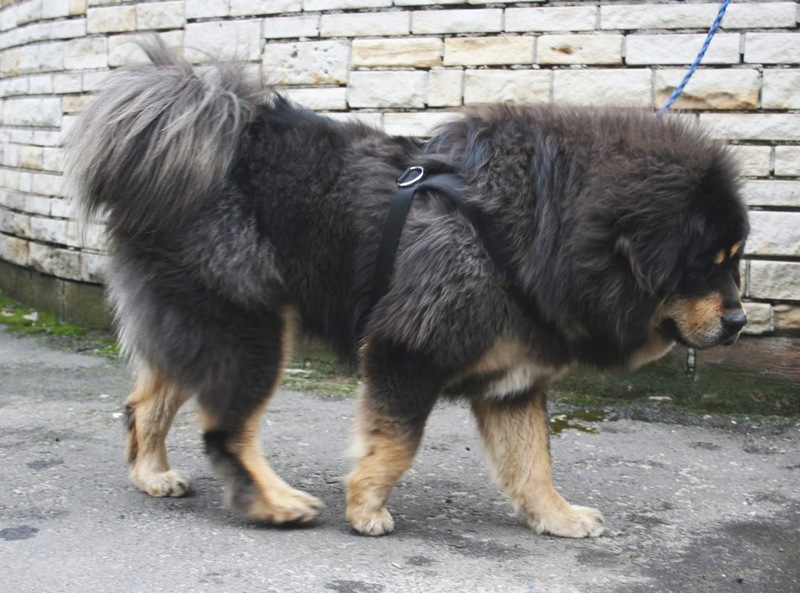 Indian gaddi dog comes in the category of large sized dog breeds.Their height at withers is around 26 inches on an average.This breed can weigh up-to 85 to 90 pounds with thick/medium length coats & lighter shades of brown. This is one of the Indian dog breeds capable of herding and penning a livestock.They are capable and strong enough to repulse the attack of bears and snow leopards. Local Himalayan armies are using these dogs to transport supplies to the areas which is otherwise unreachable by helicopter or foot. Gaddi is one of the best dog breeds in India due to their gentle and calm nature towards their owner however this is not the case with strangers and other stray dogs so gaddis need to be socialized from an early age as they can become aggressive and territorial quite quickly. Gaddis are not aggressive with children but they can harm kids unwillingly due to their sheer size and in the situations of aggression. Gaddi dog breed will be an ideal match for those people who are seeking a guard dog or an owner with one-pet household. Gaddi is one of the hardy dog breeds in India with no major health concerns documented for this breed.But due to its size this breed should be closely monitored for Bloat & hip dysplasia. Gaddi and the other closely related breeds also develop arthritis.This breed has a lifespan of 10 to 12 years. Gaddi dog puppy is available at a price range of 1500/- to 5000/- INR.The price will also depend on the quality and reputation of the breeder.It is always recommended to buy dog breeds from a reputable organisation or breeder to avoid health related issues. Again this depends on the quality of the food you will feed to your dog.This breed due to its long coat needs frequent grooming to maintain the shine and health of the hair.royal canine is considered one of the best dog foods available in the market currently.You can check it out here. Is Gaddi dog An ideal choice? Himalayan gaddi dog are known for their power and stamina & will benefit from a daily long walks. They will also enjoy protecting & herding livestocks but if this lifestyle is not applicable to you then other activities which will exercise this natural inclination will bring out the best of this breed.